Hi dearies! How's your Sunday? 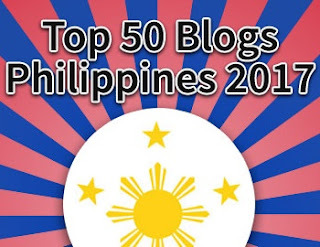 Let me share with you another fabulous event that I 've witnessed last June 28, 2014. 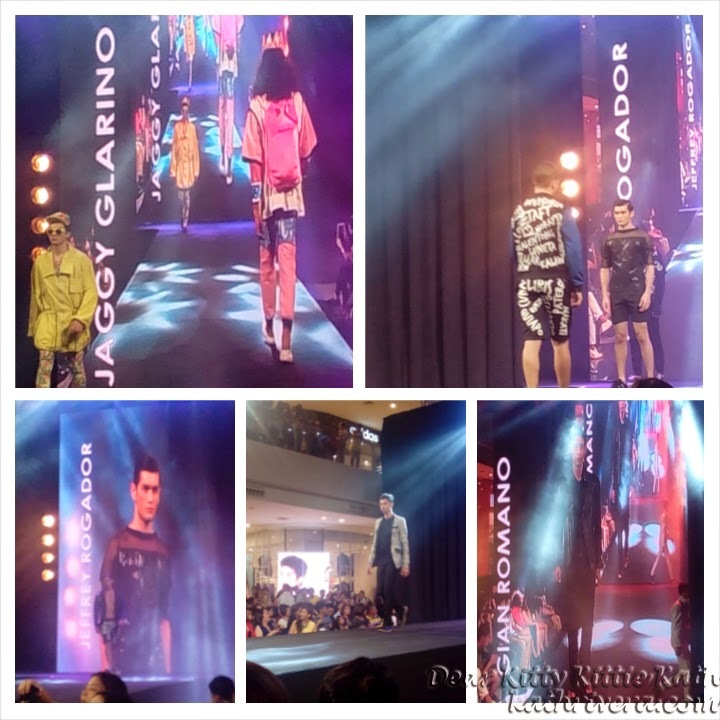 I was very privilege to be invited by Niche and Fairview Terraces marketing team to the Style Origin Men's Week Fashion Show. But before the show, the marketing team toured us inside their one of a kind shopping mall. Yes it's one of a kind because of its architectural structure- the ambiance, the lighting and the design of the mall itself is unique. I'm lucky that I live few minutes away from Fairview Terraces that's why I can go and drop by at the mall anytime of the day! Are you excited to see the stores we've visited? 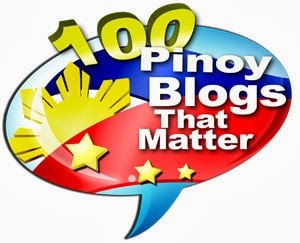 Click CONTINUE READING and smile! 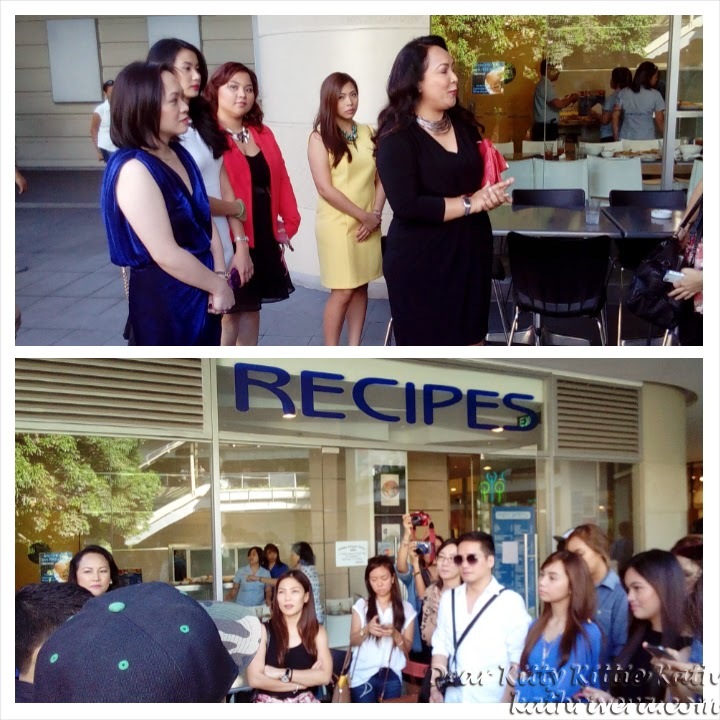 Fairview Terraces marketing team briefing the bloggers after a hearty merienda at Recipes. The photo that you see above was taken outside Recipes where the bloggers were briefed about what will happen during the mall tour. We were divided into two groups and were assigned to visit 10 stores inside the mall. 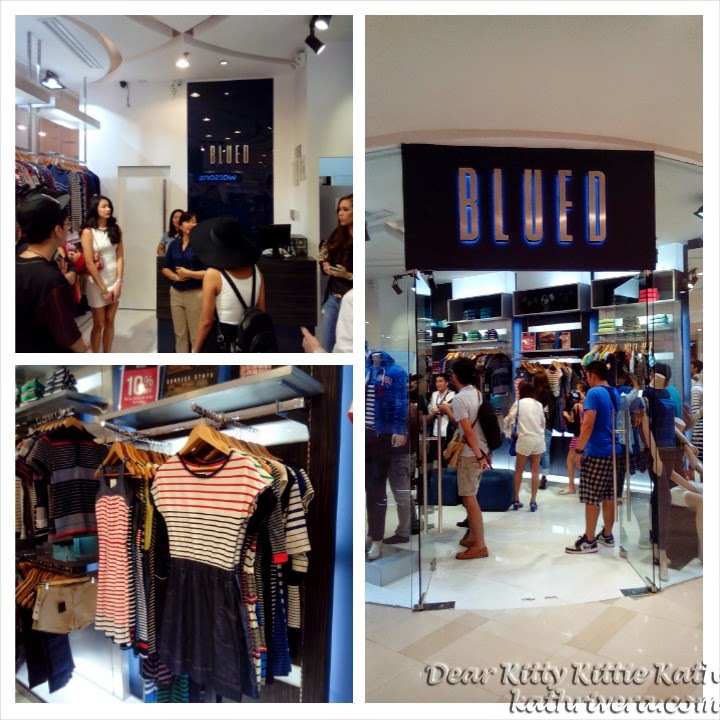 The first store that we visited was BLUED. I'm sure you've seen a BLUED store before. This store is known for their men's line before but they are now catering to women's fashion. If you're a fan of stripes, then this store is your best bet. If you wanna know more about BLUED click HERE. 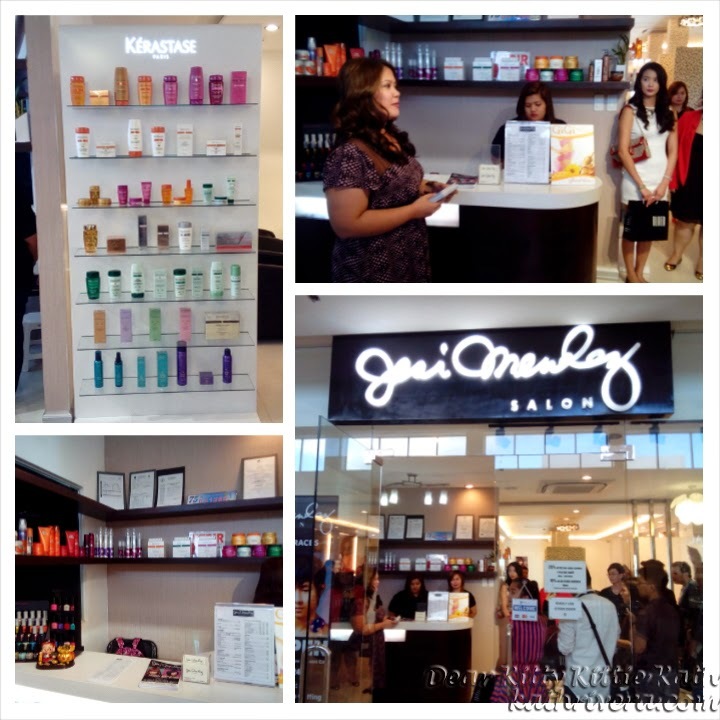 We also visited one of the premiere salon inside Fairview Terraces, it's Jesi Mendez salon. 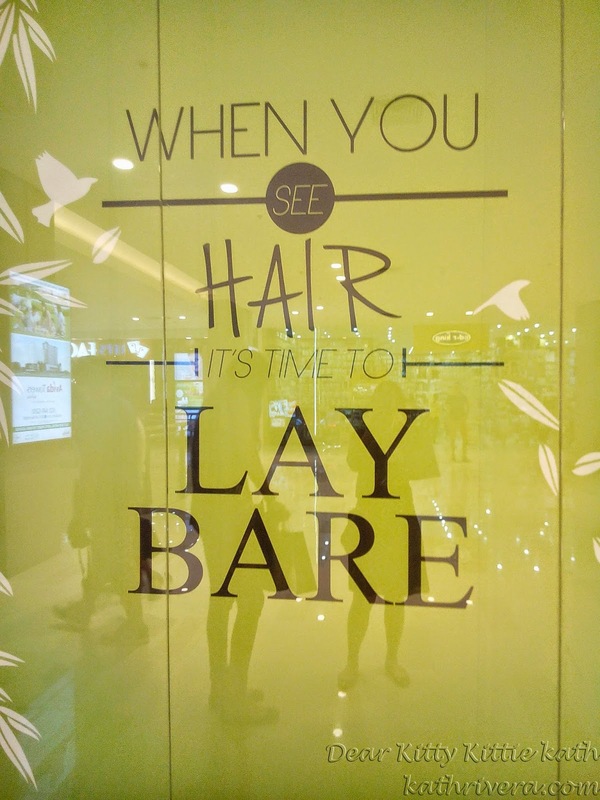 Get your fabulous haircut and treatment fix here. 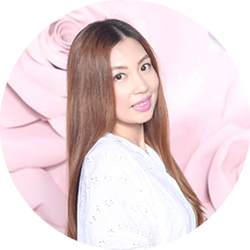 The salon boasts signature hair treatments like rebonding, keratin, digital perm and other services including hair and makeup. Party need? Celebrations Party Central got every little cutest thing covered! Just by looking outside the store, you can see a lot of awesome party needs and trinkets what more if you come inside! The store is full of fun and excitement. Seeing those cute lanterns, silly straws, colorful ribbons, unique arts and crafts made me think of arranging my party the fun and easy way. What more can I ask for? They have very affordable prices and I'm sure that party planning have never been this good! 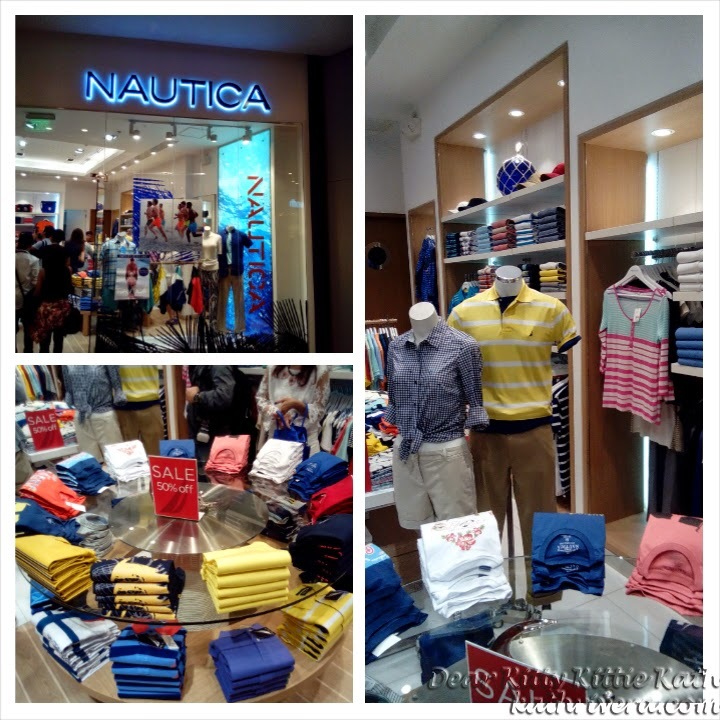 For the sea lovers, there's Nautica shop at Fairview Terraces. Kidding aside, Nautica is one of the signature brands that I grew up with. 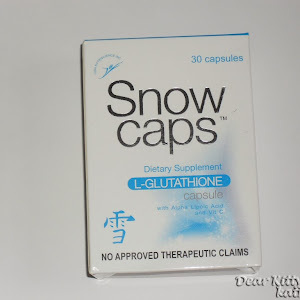 My relatives from the US introduced me to this brand. So now I don't need to ask them to buy this brand for me because all I have to do is shop at their Fairview Terraces branch! 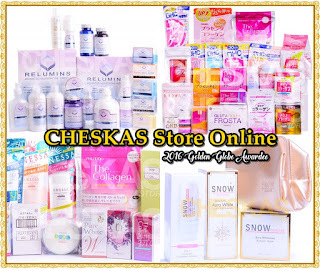 Looking for exciting gifts and goodies? That's what EGG stands for! Egg deals with the sale of simple yet trendy bags and pouches capturing the taste of the younger generation. 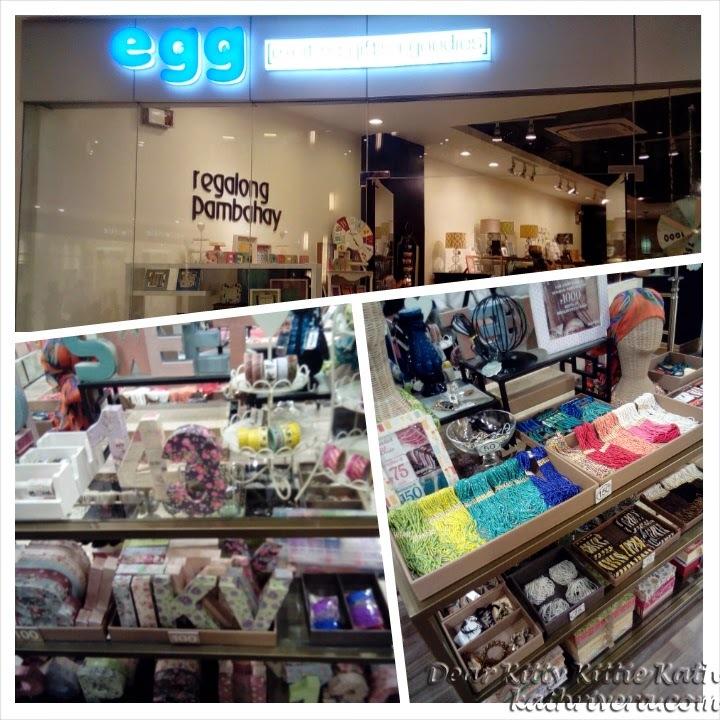 They also have regalong pambahay items inside the store. 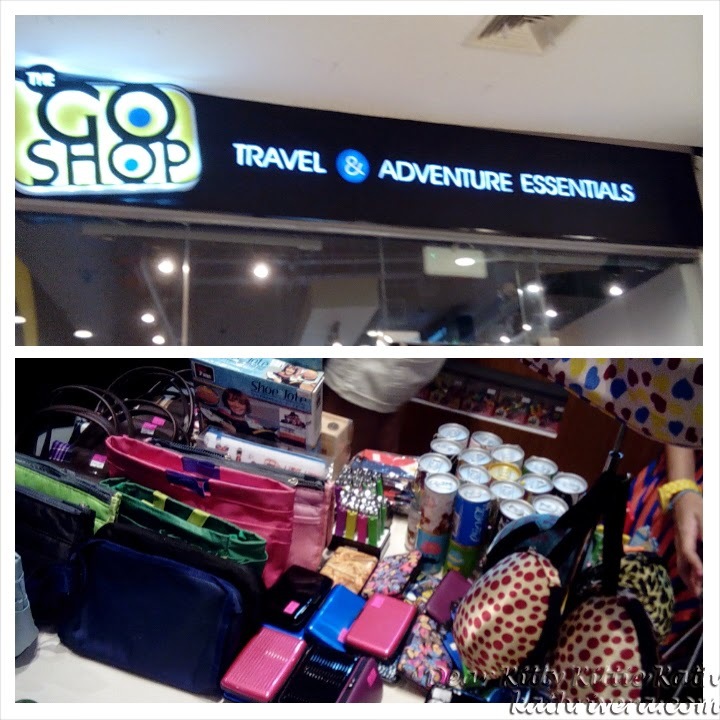 The Go Shop Travel and Adventure Essentials caters to all your travel essential needs. If you love travelling and going for an adventure this is the perfect place to buy your bags and luggage. 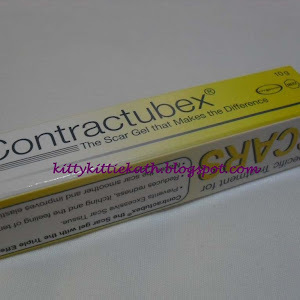 They offer affordable prices so don't forget to check them out. 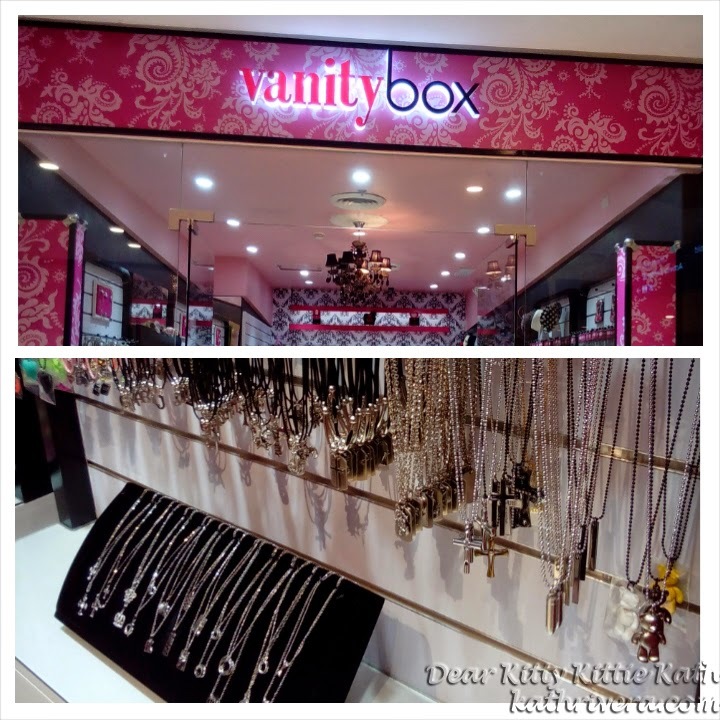 For the accessory lovers, Vanity Box is the place for all kinds of trinkets and blings that will make your outfit ootd ready! You'll see a lot of unique accessories from head to toe. 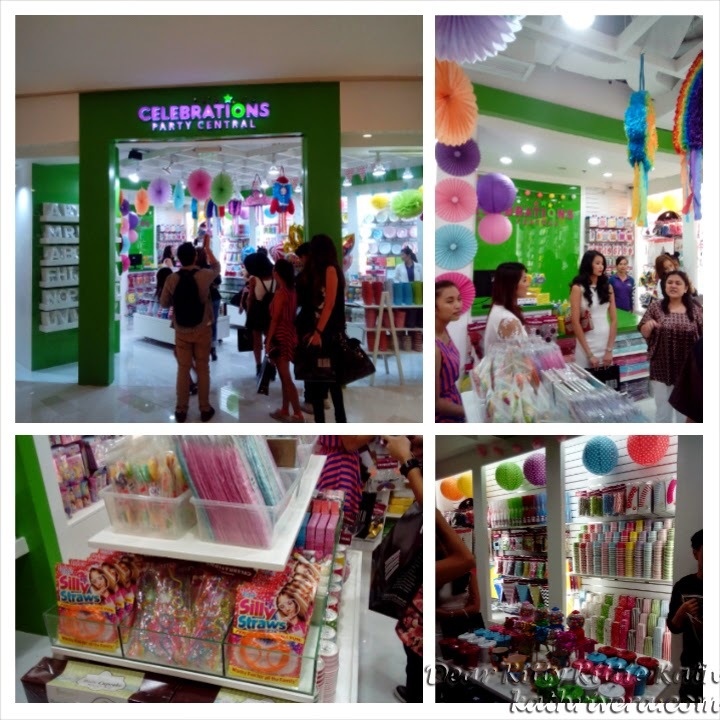 Don't forget to drop by at Vanity Box when you're at Fairview Terraces! After the tour, we had a snack courtesy of TGI Fridays. Then the fashion show started around 7 pm. Focusing on details, the subtleties of colors, the boldness of structure the lines, the cuts, the stitch, the texture, that is having AN EYE FOR STYLE. 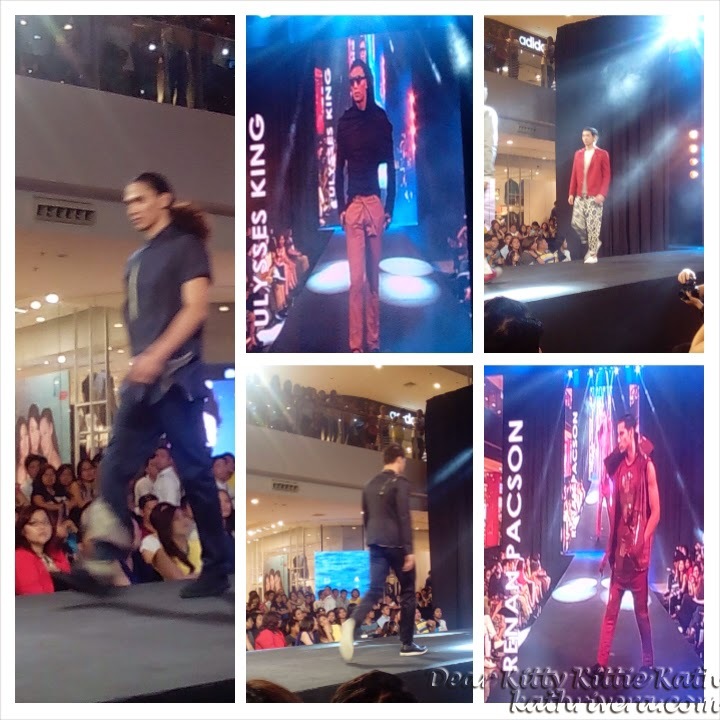 Ayala Malls STYLE ORIGIN celebrates true fashion with curated top looks from the industry's TOP Trend Shapers. 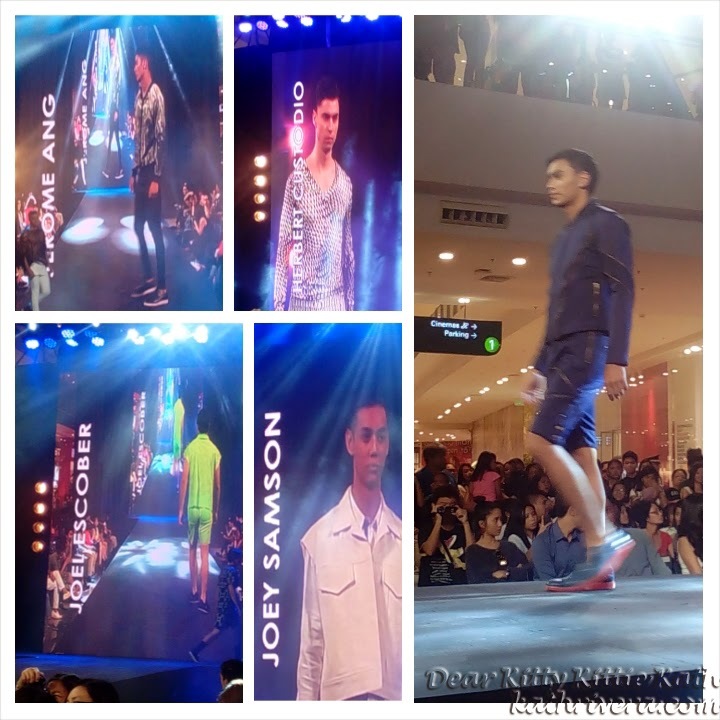 It's the Men's Week Fashion show that showcased the works of top Filipino designers. 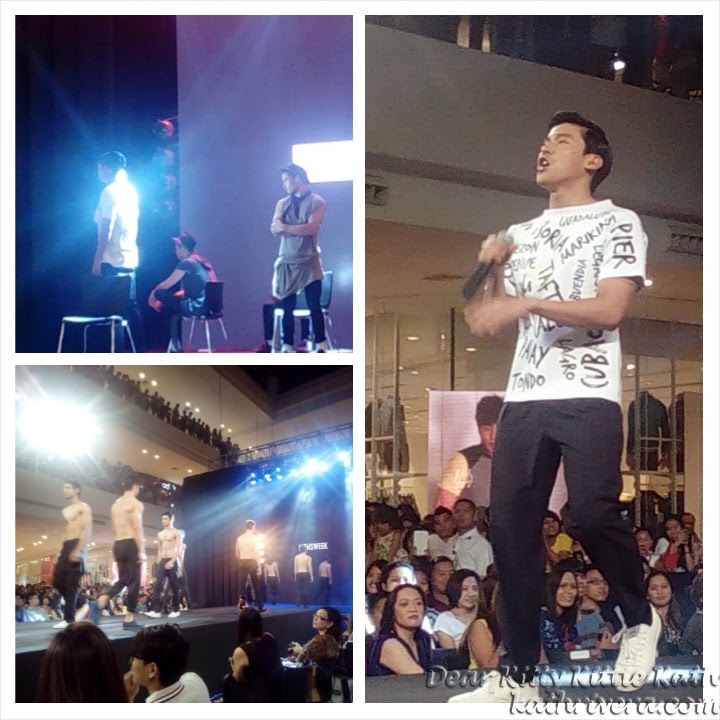 For the finale, Enchong Dee made the crowd go wild! I like the shirt his wearing, designed by Jeffrey Rogador. Very fashionable but wearable! What an awesome and grand event that was! Thank you very much Nick and Fairview Terraces marketing team for having me. I enjoyed the tour and most of all I get to know the stores and discovered more than just a shopping mall. I invite everyone of you to visit Fairview Terraces! Boasting with 400 shops, some will open this year. You'll enjoy the ambiance, shop in style and relax with the whole family while shopping. 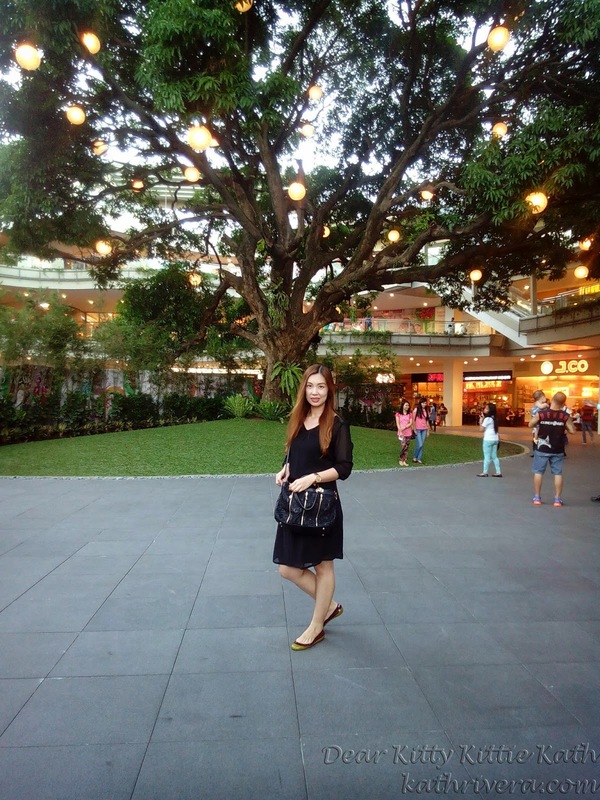 Fairview Terraces is more than just a shopping mall. I'm very happy that I don't need to travel far just to shop for my favorite brands. Fairview Terraces is the next shopping destination that I'm sure you and your whole family will love! 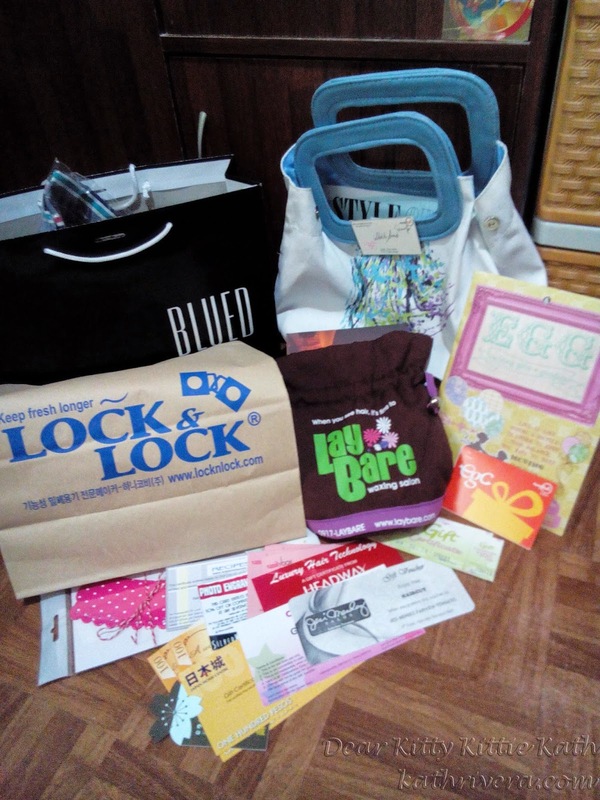 Thank you so much for these wonderful gifts! 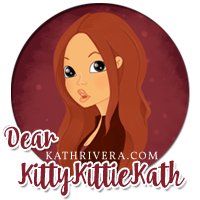 Another fun blog! I love to watch fashion show. You did a great job on the photography. You could shop at this mall for days and days! Looks like a special event and right up your alley. That looks like a great mall. So many fun shops to check out. Girl , you have a full agenda. How do you get the invitations? Weird for me to admit, I didn't know that was EGG's meaning. I can see my daughter being dropped there and i would come back an hour later she would still be hanging there..
A day of shopping is actually what I need. Those stores look awesome. I would definitely shop there. How cool that you got to go in and check things out with just a few other people! Looks like a great marketing/promotional event for the mall. Ohh the hair and candy places look great! I could def spend some time && MONEY there! Aha! Looks like a great experience and event. 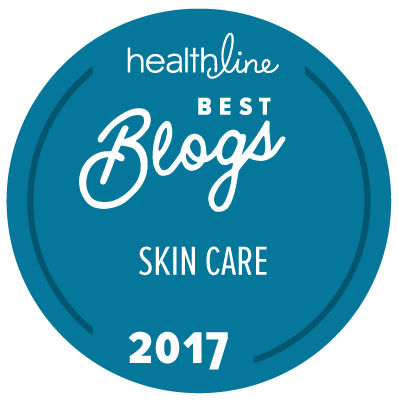 So many great looking stores! Thanks for sharing them! No matter what you're shopping for, you're bound to find it there. What a great variety of stores! Looks like this was a great event! Gotta love a new mall! 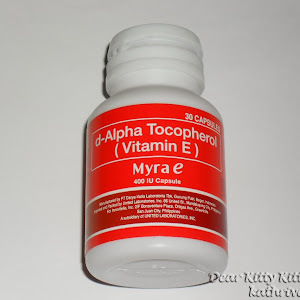 You are so lucky to be invited in such event and then having some gifts from the owner and it is no wonder because of your great feedback and encouraging campaign in short you are such a great ambassadress. Looks like a nice mall, I wish we have a mall like this over here. I would visit the vanity box all the time and find me a nice bling. It sounds like a great event to get invited to. Looks like you had a great time with some fabulous shopping! Sounds like a great event and a fantastic place to shop. Thanks for sharing. nautica was the only brand store I was familiar with. Looks like you scored some nice swag at the end of the tour. Sounds like you had a great time at the event. Thanks for sharing. Sounds like you had a great time. Cheers! 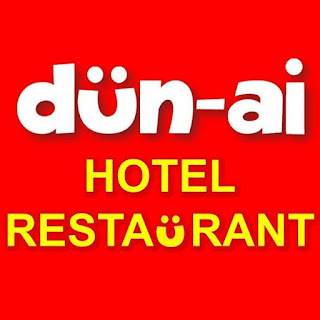 It is truly worth visiting. But Fairview is far from my place so I wonder when I could drop by. Wow!! Now I feel like visiting Fairview Terraces too! I have been declining events to there because it's so far.... had no idea it had so much to offer! I haven't been to a mall in ages and I don't think I've ever seen a mall fashion show. Gotta get out more. How cool that you toured a mall and saw a fashion show. I wish more places in our area did this. mall fashion shows are so much fun. I haven't been to one in forever.